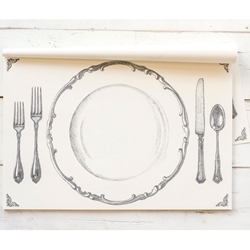 Decorate your table with placemats drawn to took like the ideal place setting. Just tear off each placemat, decorate the table and throw away when done! • Pack of 30 • 30% Recycled Materials • Soy-Based Ink • Disposable • 12" x 18" See more details and specifications below. 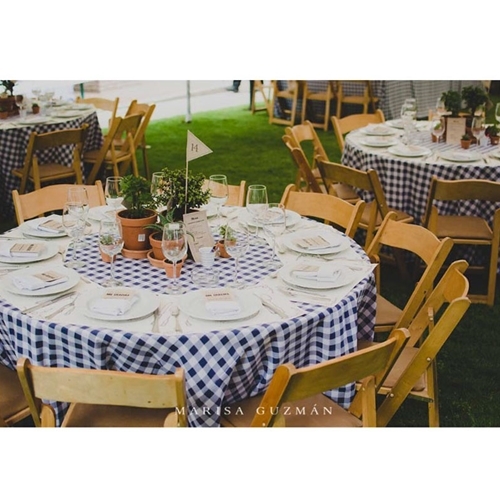 Ana Patricia Arrieta used the Perfect Setting Placemats at her wedding reception to define each guests' spot at the table and to protect the black and white checkered table cloths underneath.